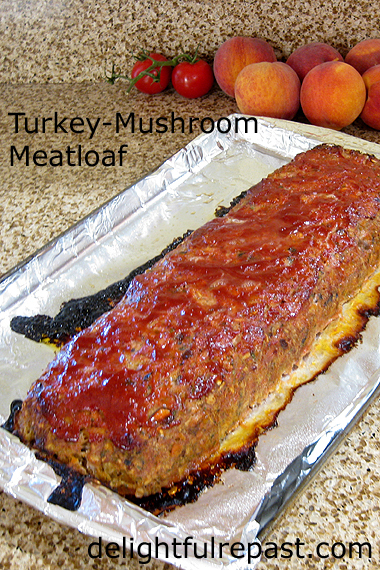 Turkey-Mushroom Meatloaf can also be made with ground beef, if you prefer. Either way, I use old-fashioned rolled oats instead of breadcrumbs, so this will work for those on wheat-free or gluten-free diets. Well, I’m the opposite. I like lots of vegetables in my meatloaf. And I cook them well before they go into the mixture. It gives the meatloaf better flavor and better texture. I’ve gone years without making a meatloaf, then I make one and wonder why I waited so long. Along with Perfect Mashed Potatoes, it’s such a true comfort food. Nothing complicated, just good and comforting. Love having Pull-Apart Dinner Rolls with it, but not this time. And it makes the best meatloaf sandwiches! What do you like on your meatloaf sandwiches? I like lots of mayonnaise, a little mustard and just a tiny bit of ketchup. 1 In 12-inch skillet, heat oil and cook onion, celery and bell pepper or carrots until softened, about 10 minutes. Add mushrooms, 1/2 teaspoon salt and 1/2 teaspoon pepper and cook, stirring occasionally, until any liquid from the mushrooms is evaporated, about 10 minutes. Stir in Worcestershire sauce, parsley and ketchup. Set aside to cool. 2 In large mixing bowl, stir together oats and milk; let stand 5 to 10 minutes. Stir in egg, then add vegetables. Add turkey and 3/4 teaspoon salt and 1/2 teaspoon pepper. Mix well. Cover and refrigerate for at least 3 hours or up to 12 hours. This will firm up the mixture so that it will form a tidier loaf. If you’ve worked with ground turkey, you know what I’m talking about. 3 Preheat oven to 400F/205C/Gas6. Line a 15x10x1-inch baking sheet pan with foil (you will regret it if you don’t! ); spray lightly with cooking spray. Form chilled meatloaf mixture into a 15x4-inch loaf on the foil-lined pan. If using ketchup, spread ketchup over loaf. If using bacon, arrange bacon slices crosswise over loaf, overlapping slightly and tucking ends under loaf. 4 Bake for 55 to 60 minutes, or until it reaches a temperature of 165F/74C on an instant-read thermometer. Let stand 5 to 10 minutes before slicing. will for sure try it! Sherry, thank you! I hope you like it as much as we do. I'm not quite ready for comfort food or turning on the oven yet but it won't be long. This looks like a keeper. I definitely roll with the rolled oats (rolling in the oats – sounds like a song by Adele). Cautiously endorse vegetables disguised as meat loaf too. Sounds like a good way to smother the taste. Mushrooms are so neutral, though, that they go in just about everything except – ironically – by themselves. Yeah, you can smother them with crusts and fill them with crab; but then they are not by themselves! Looks great, Jean. It never occurred to me to enjoy meatloaf as a sandwich! I think as an adult (if you can call me that) I've often avoided meatloaf because of some odd and deeply unpleasant meatloaf meals served up as food at school. Whenever I make it, though, I'm with you in asking why don't I do this more often? I'm definitely in favour of veg in there and I'm a big fan of turkey so this does tick the boxes for me. Sully, that's very cookerly of you: "Mushrooms go in just about everything except, ironically, by themselves." I quite agree with that. Margie, if you've never had a meatloaf sandwich, you MUST make this right away. Go ahead and have a hot meal of it the first day, then into the refrigerator with it. And the next day make a sandwich. Good white bread, mayonnaise, country Dijon mustard and a little ketchup. Good on sourdough bread, too, but it must be toasted. Phil, if I avoided the foods my schools did badly, I'd be avoiding sooo many things because they made everything badly! Particularly if ground meat (mince) was involved. They used some very poor quality meat that had an unpleasant aroma. Thank you for your kind comment on my bluebird tea party! I like all the veggies in you meatloaf and I always put some ketchup on top of the meatloaf. It’s comfort food at its best. Thanks for sharing the recipe. This looks so yummy! My husband is going to love this, plus, mushrooms are so good for men. 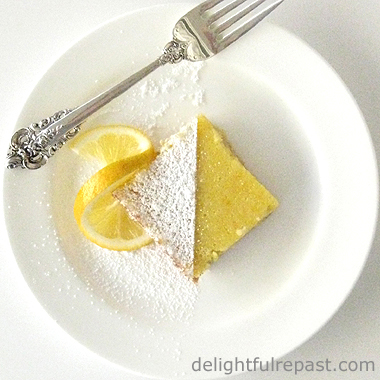 Thanks, Jean, for sharing another awesome recipe. Great to see mashed potato on a plate Jean. I like meat loaf too although I have not had a turkey meatloaf before. This looks delicious. Did you know that blue glaze pottery originated in the Mesopotamian cultures (Iraq) about 900 AD?Pieces dating back to then have been found. China and Japan took it on later. Then of course The East India Company ( The first multi national, and it had its own army to enforce trade) brought it back to England from China in the 18th century. Jane Austen, must have eaten cake and sandwiches off blue glaze pottery. The Chinese Willow Pattern became very popular in Britain. In fact my mother had a set. My brothers and I ate off Willow Pattern plates. But I digress!!! Yes, Turkey meat loaf. Great stuff, Jean. Have a good day. Just read Sullys comments, Jean, about mushrooms. Sully must try a holiday in The Loire Valley. He may well enjoy the vineyards and the many types of wine but if he was to take a guided tour of the limestone caves in the cliffs that edge The Loire he would notice, among the miles of underground wine vats, the viniculturists have a side interest. They grow mushrooms. Mushrooms like the conditions underground apparently. There are many restaurants in the area that make mushroom dishes, admittedly with the most amazing herb imbued sauces to go with them but the main ingredients are , just, mushrooms. Thank you, Katherine. I'm all about tea parties and comfort food! Gerlinde, thank you. I don't know why anyone wouldn't want loads of vegetables in their meatloaf; otherwise, why not just have a hamburger? Angie, thanks so much. Hope he likes it! Thanks, Tony. I always love a bit of history about things. And a visit to the Loire Valley would be lovely right about now. Lea Ann, thanks. I knoooow! Aren't meatloaf sandwiches the best? Your turkey meatloaf with the mashed potatoes looks like pure comfort food, Jean. 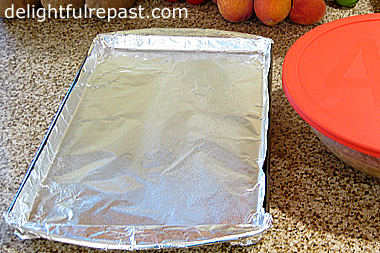 Yes, I so agree with you about using a foil-lined baking sheet. Meatloaf sandwiches are the best!! I like mayo and ketchup on mine. Thanks for the inspiration! Thank you, Kitty. Yes, mayo and ketchup are my "musts" on the sandwich, I just add a little country Dijon because I have it out anyway for Mr D's sandwich! Jean, this sounds like the best meatloaf ever! I love the idea of including the cooked vegetables. Can you believe I've never had a meatloaf sandwich? I really need to fix that! Thank you for sharing, and for being a part of the Hearth and Soul Link Party. Have a great weekend! Thank you, April, and thank you for hosting the Hearth and Soul link party. You definitely need to try a meatloaf sandwich! I've never tried adding mushrooms, so thanks for the tip about getting the liquid to evaporate. 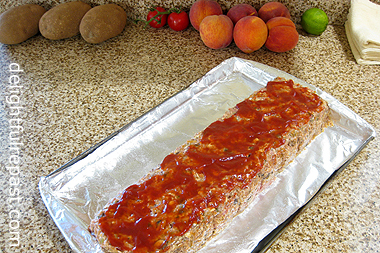 Yes, turkey meatloaf is something we enjoy so I'll look forward to trying this twist. Thanks, Pauline. I hope you like it. We think the mushrooms really jazz it up! 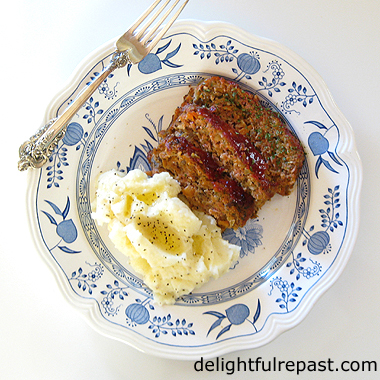 I’m with you - I love veggies in my meatloaf, and learned to cook them as you do. Raw veggies can make your loafers fall apart. Those mashed potatoes look just perfect. Looks really good!! Thanks so much for stopping by!! Thank you, David. I hate biting into a hard chunk of veg, especially onion, when I'm eating meatloaf. Debbie, thanks. I'll be making it again soon. Hubby and I enjoy a good meatloaf now and then. This sounds delicious! Thanks for sharing with SYC. Thanks for stopping at my blog! Your meatloaf looks wonderful. I agree that adding veggies adds flavor, and I like old fashioned oats in mine as well. I'm going to try this recipe. Thanks! Thank you, Jan. Love SYC! Hugs to you. Mari, thank you so much. I hope you'll let me know how it turned out for you! Your meatloaf looks delicious, I love the combination of ingredients! Thanks so much for sharing your post with us at Full Plate Thursday and hope you have a great week! Miz Helen, thank you so much. I'll see you at Full Plate Thursday with a dessert. My mom used to make meatloaf with mashed potatoes when I was young and I make it as well. Yours looks delicious and a little different from the way I make it. I'll love to give it a try. Thanks, Amalia. I hope you'll like it. My mother always made meatloaf with beef because my father hated poultry--would only eat roasted turkey once a year on Thanksgiving! oooo this looks and sounds delicious! Thank you for sharing this with us at #triumphanttales. I hope to see you back next week! Thanks, Lianne. Yes, I'll be there with a bit of cake! Thanks so much, csuhpat1! Give it a go! We're starting to get cooler days and nights here in the UK. Meatloaf's and casserole dishes will be on the menu plans! This does look a tasty recipe idea. Thank you, Jan! I always look forward to the cooler temperatures of autumn. Feels so refreshing. AND no worries about overheating myself and the house with my cooking and baking! I almost never make meatloaf for some reason. I think I was scarred by my mom's -- she was usually a decent cook, but her meatloaf was dry and tasteless. And we had it once a week, every week. Bleh! Anyway, this looks better, much, much better. Good stuff -- thanks. Thanks, Daydreams. And, yes, you definitely need to try it--kids love it! Looks divine! Thanks for sharing with us at the To Grandma's House we go link party! Thanks, Tarah. And doesn't a nice meatloaf sound like the perfect thing to have at "Grandma's House"?! Thank you for your visit, it's always a joy finding you in my in-box. Thanks so much, Debbie. Mmm … a baked potato sounds good to me today, though I usually prefer mashed potatoes. This looks amazing! I do not think you can go wrong with a meatloaf and mashed potatoes. And now this is what I want for dinner. Thanks, Mrs AOK! It seems to be that meal that everyone craves once in a while and that kids always like too. Sounds like a delicious meatloaf. I've never. used oats in one, I'll definitely have to give your recipe a try. Thank you, Karen. I hope you'll try it soon and let me know you like it. I like to use the oats because, I figure, you might as well add something that's actually good for you rather than the white bread I used to put in it. You won't notice the difference, though. What a delicious dish and perfect if you want to have lots of leftovers to make life easier later in the week too! Thanks for sharing with #CookOnceEatTwice - please mention the linky in your post too to help spread the word! Thanks, Corina! Heading back to check others' -- I *love* to cook once and eat twice!